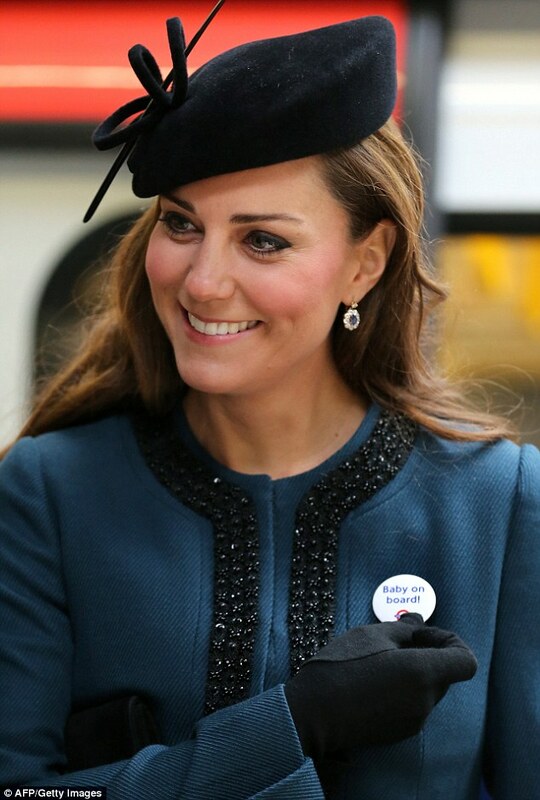 The Duke and Duchess of Cambridge will be welcoming their second baby in April 2015, Kensington Palace has confirmed. Kate's pregnancy was announced last month but the due date had not been released until now. In a statement, the palace said the 32-year-old Duchess, who is around fourteen weeks pregnant, continued to suffer from extreme morning sickness but her condition was 'steadily improving'. The pregnant Duchess will make her first public appearance on Tuesday where she will join Prince William to officially welcome Singapore's President Tony Tan as he begins a four-day visit to the UK. The royal couple's second baby will be fourth in line to the throne, behind one-year-old Prince George, who was born in July last year. Kate recently took refuge with her parents while she was 'struggling terribly' with her debilitating antenatal sickness. The royal retreated to her family home in Bucklebury, Berkshire, last week with her son, Prince George.